OLD PARKED CARS. 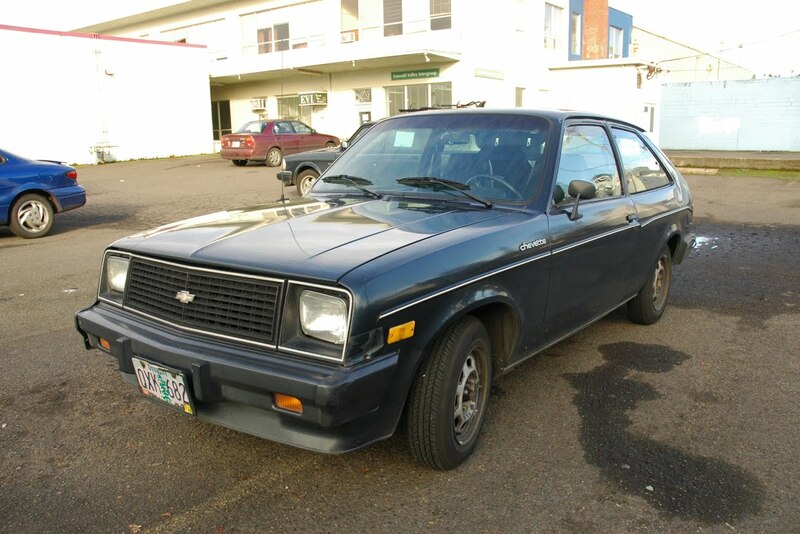 : 1983 Chevrolet Chevette CS. LOL. Anyway, good find, Chevettes are really rare. I do like that front shot. Looks pretty tough... for a Chevette anyway. 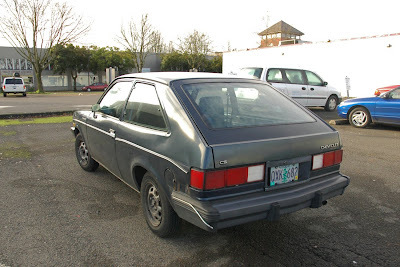 Did these have Isuzu motors like the old I-Mark diesels? Or did they have a GM gasser under the hood? And I can bet you didn't know that they were making these in Finland, at Uusikaupunki factory. Main factory was in France, old Simca/Talbot factory and this is originally designed by Simca, they just were bought by Chrysler. nice comment, anon. i had no idea of the chevette's exotic heritage. and that front shot is really appealing. Always liked Chevettes, they lasted forever. I'm in Canada, and Chevettes are surprisingly common. 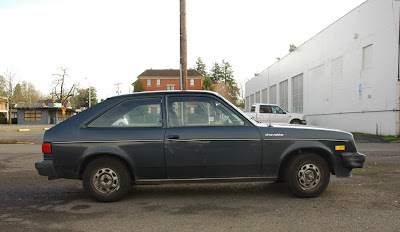 And just in case you didn't know, instead of the T1000 (Pontiac Chevette), we had the Pontiac Acadian. And those are very hard to find!